Rodney Caldwell has practiced in the intellectual property field since 1970. 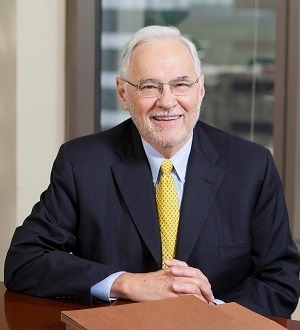 His practice has been concentrated in the litigation of trademark and related intellectual property matters, alternative dispute resolution, and counseling, including advice on trademark licensing, franchising, and intellectual property/antitrust matters. He has represented large, mid-sized, and small business clients and has broad experience in litigation of trademark, trade secret, and related unfair competition matters. For more than twenty years, Rodney has been listed in The Best Lawyers in America under the Intellectual Property Law specialty. He also has been listed as one of the world’s leading trademark lawyers in Euromoney Legal Media Group’s Guide to the World’s Leading Trade Mark Practitioners. Prior to beginning his law practice, Rodney was a project engineer for the Apollo Spacecraft Program of the National Aeronautics and Space Administration in Houston, Texas, from 1962 to 1970, and he served on active military duty at Patrick Air Force Base (Cape Canaveral), Florida, with the Ballistic Missile Division of the United States Air Force from 1959 to 1962.